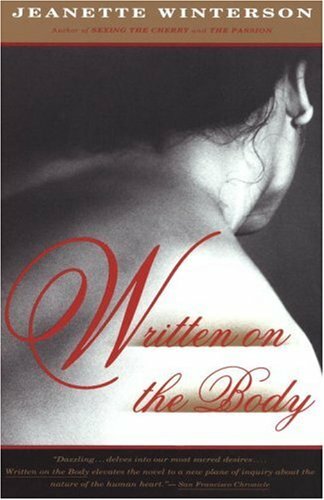 Jeanette Winterson’s novel “Written on the Body” is the first book I recommend when someone asks me for book ideas. I have my dear friend, KC, to thank for this one. This book is my go-to for poetic prose, the book I read over and over again, reference over and over again, because its language is so sweet and so desperately unforgiving. The book is a genderless love story told from the point of view of the nameless author. The object of affection is Louise, a married woman. Written on the body is a secret code only visible in certain lights; the accumulations of a lifetime gather there. In places the palimpsest is so heavily worked that the letters feel like Braille. I like to keep my body rolled up away from prying eyes. Never unfold too much, tell the whole story. I didn’t know that Louise would have reading hands. She has translated me into her own book.